We got a big snowstorm on Saturday night. I think we got about a foot? 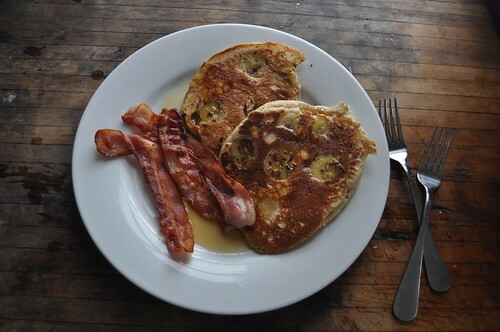 We slept in late, made pancakes, shoveled, and took a great afternoon walk around Marblehead. 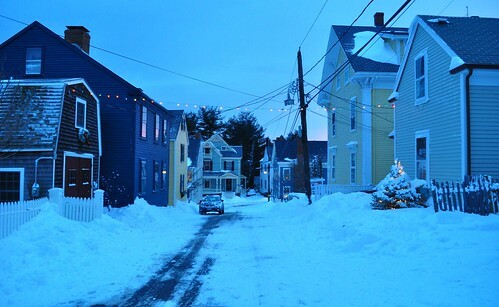 I really love the snow and how beautiful old town looks with a dusting. Above and below a few snapshots from today. 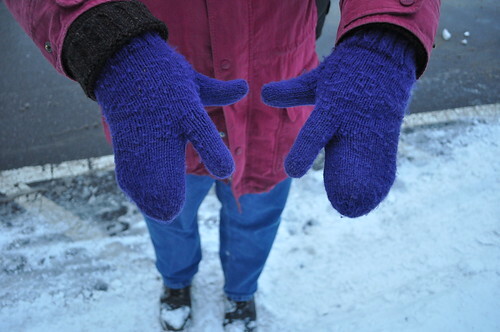 I spotted a friend wearing a hand knit pair of trigger gloves. His grandmother made them for grandfather back in the day. So cute, right? 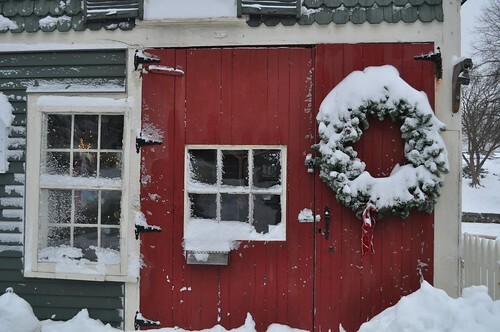 Congratulations on your wonderful ‘red door with wreath front cover photo’ in the Marblehead Reporter. I am so glad they have discovered YOU. And you THEM. Your photo sense is outstanding – a REAL eye for composition. If you ever want to teach a course on blogging … I am very interested…. Being a local. Thanks Patsy. The photo was so cute for a christmas cover. I’m so glad they used it! Saw your photo on the front page of The Reporter – gorgeous! i really like the glittens…glove+mitten=glitten. 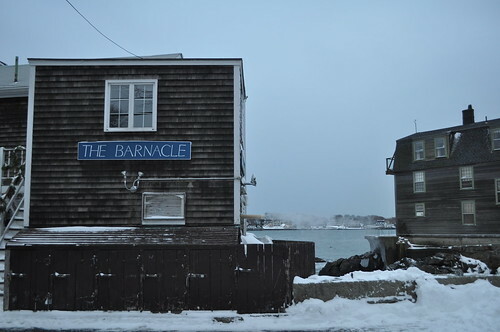 Your lovely scenes from Marblehead make me miss my days in Boston. You have a real gift. I love your photos. Your blog is the best!! I love your photos. Also enjoyed your winter beach scenes. so fun. You make me miss my yankee roots. Great photos, thanks. We did about the same thing in Brooklyn. 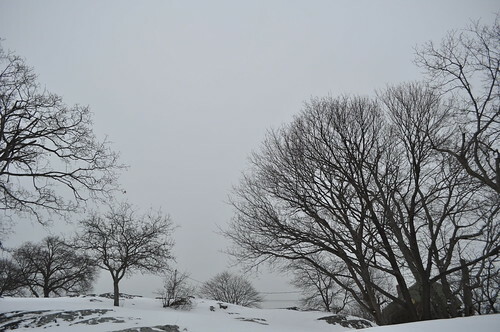 Thanks for the wonderful pics of Marblehead – you have a great eye!!! 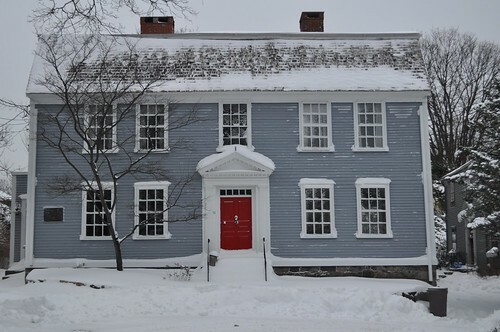 My husband and I love New England and make at least one trip every year (Maine now a favorite). 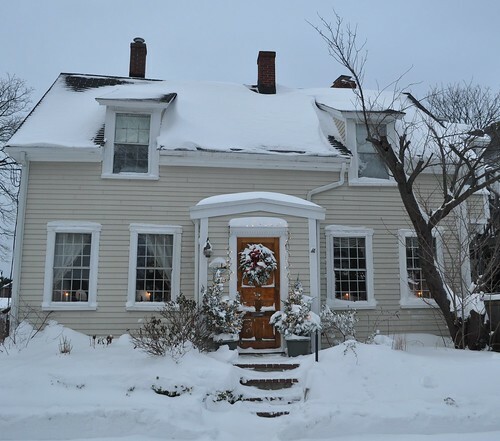 Our home is surrounded by farmland in Central PA and we received about 12″ – we got in our new “old” 4-wheel drive and took a ride to our favorite “little store” (not a superstore) with it’s woodburning stove. It’s lovely!!!! JOY to you this Christmas! I’m loving the snow, too. We head up to Maine on Thursday and I’m hoping there’s snow left up there so we can go sledding. I’m stuck on those last two photos you took, Katy. 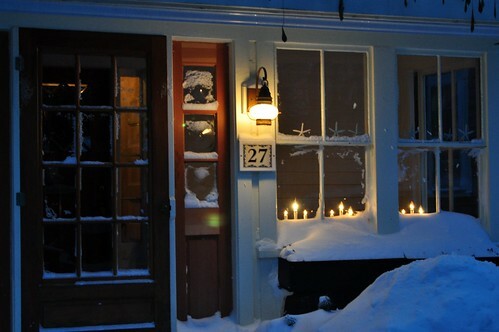 I love seeing snow in the blue light of dusk and that last photo with the candlelight looks magical. Love these! So jealous of the snow!! Magical! Thank you for sharing. Looks like a perfect day.